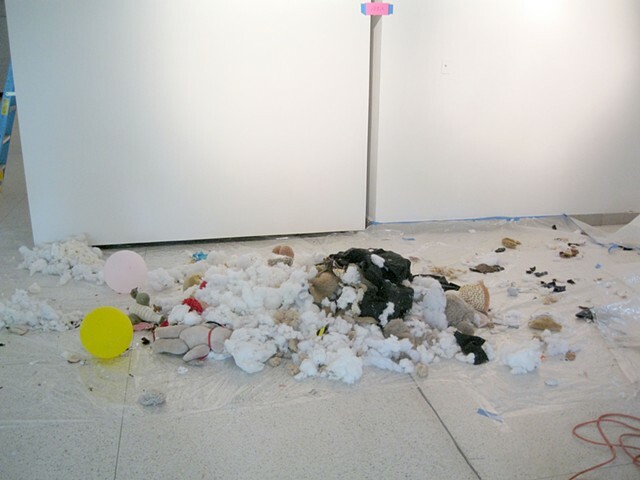 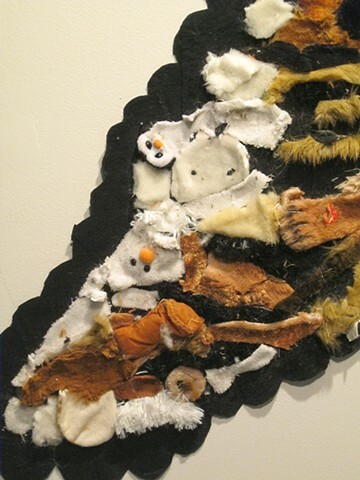 I created this piece, HIDE, at the rare challenge from curator Darren Miller to create a new work, with a public audience, in one eight-hour day for a semi-annual exhibition at Allegheny College called 8 Hour Projects. 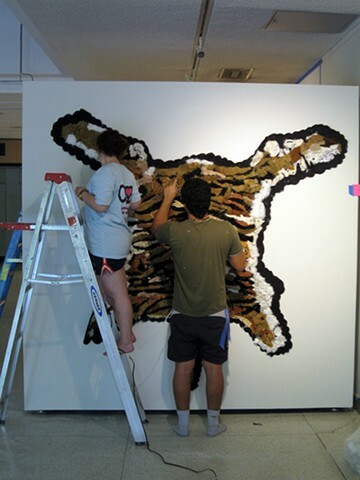 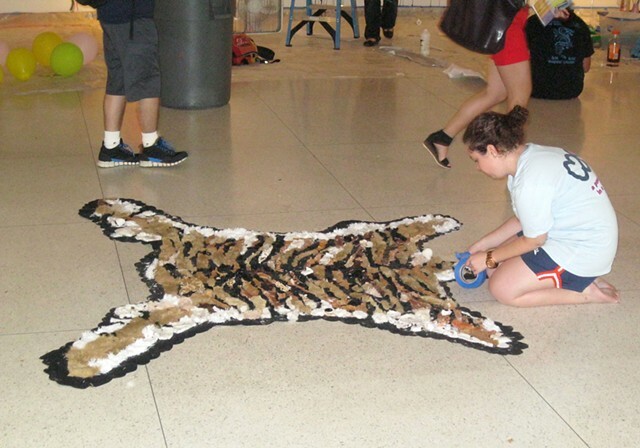 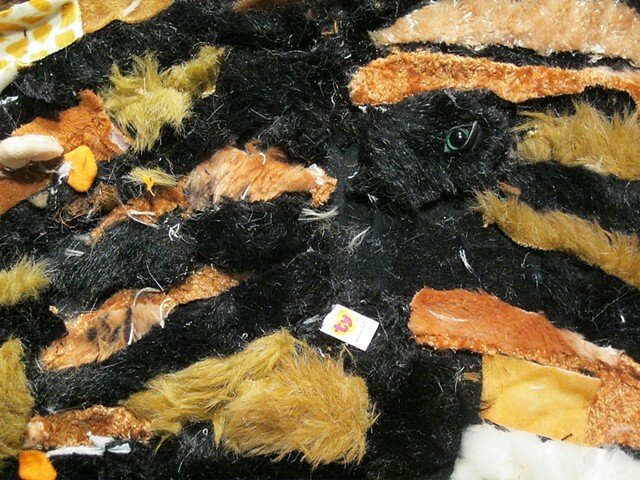 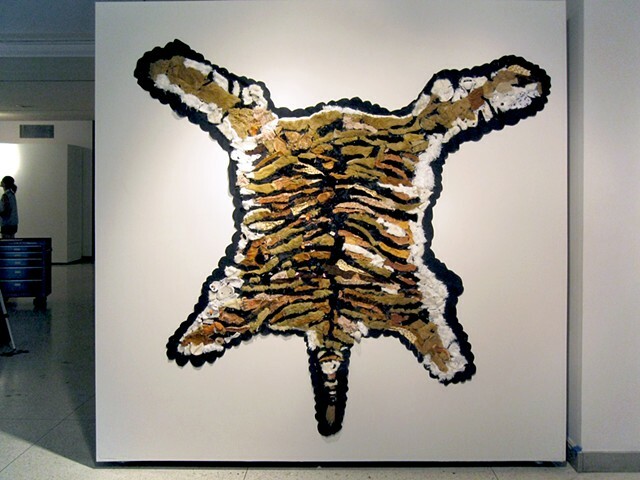 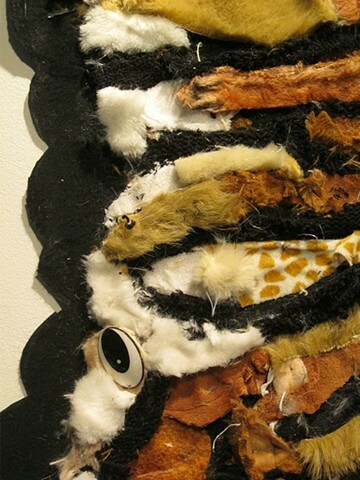 With the help and input of two former students, Michelle Steinberg and Jose Saavedra, this faux-animal hide took form on September 1st, 2012. 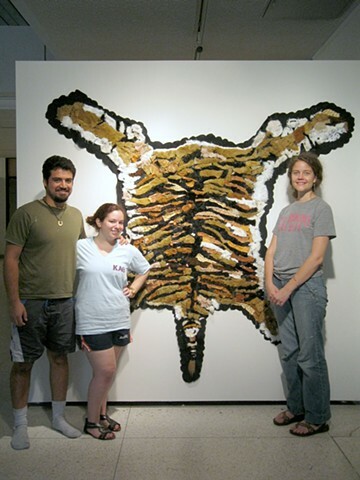 HIDE was created for "8 Hour Projects" at Allegheny College, Meadville, PA.